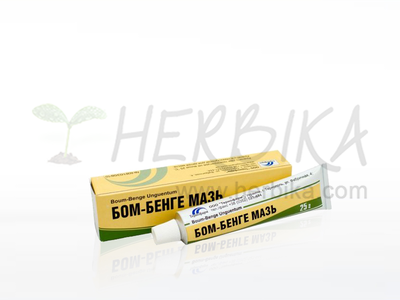 Sabelnik is a powerful healing cream containing extracts and oils of several medical herbs and trees, and was developed on the basis of the best recipes of traditional medicine. The basic ingredient is one of the most used medical herbs – Swamp Cinquefoil (Comarum Palustre), known for its naturally analgetic, antiseptic and biostimulanting effects. It can alleviate pain quickly, alleviate inflammation, flush out salt and urin acid deposits by activation of blood circulation in joints. Swamp Cinquefoil has also the ability to regenerate cartilages and increase its strength and elasticity, which was proven clinically. Contents: Olea europaea oil, Himalayan Cedar oil (Cedrus deodara), Beeswax, extracts of the following herbs: Swamp Cinquefoil (Comarum Palustre), Rose hip flowers, Sweet chestnut (Castanea Sativa), Mugwort (Artemisia Vulgaris), Pepper (Capsicum Annuum), Ribwort plantain (Plantago Lanceolata), Bladder wrack – seaweed (Fucus Vesiculosus), Common nettle (Urtica Dioica), Three-lobe Beggarticks (Bidens Tripartita), Chamomilla Recutita, Marsh Labrador tea (Ledum Palustre), Field horsetail (Equisetum Arvense) Leaf, Marchalan (Inula Helenium), Yellow melilot (Melilotus Officinalis), Panthenol, Menthol, Vitanol, Hydrolyzed Collagen, A, E, D vitamins. 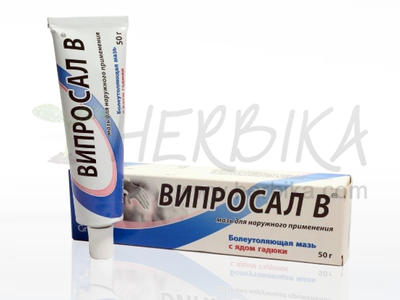 Usage: Apply on the affected part(s) 2-3 times a day and gently massage into skin. Therapy lasts at least 2-3 weeks or when it is desirable or neccesary. It is essential to keep the affected part warm.